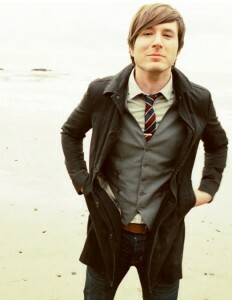 He’s a clever clogs, that Adam Young. After massive international success with his debut single ‘Fireflies’, subsequent chart action proved hard to come by. But teaming up with chart darling Carly Rae Jepsen has changed all that, with new single ‘Good Time’ splashing into the top 20 here and around the world. Now comes news that Chugg Entertainment will bring Owl City to Australia in November this year for three very special concerts on the East Coast. But it’s only Sydney and Melbourne that will get to see the singer/producer’s performances, with one show locked in at Sydney’s Metro Theatre and an under 18s and over 18s gig planned for Melbourne’s Corner Hotel. No other centre gets a look-in. Tickets for all three shows are on sale on Monday July 16. From memory (and from our records), his 2010 tour was “postponed” (i.e. cancelled), but he apparently came back for shows in 2011. Can’t wait to go to this!!!!! ;) did his last tour or Australia get cancelled at the last minute?